One thing I love about London is that there’s always something weird and wonderful going on. Fancy going to a gig? A puppet show? A yoga class with dogs?! No matter what day of the week it is or whereabouts you are, there’s usually something epic going on that you’ve never even thought could possibly exist. 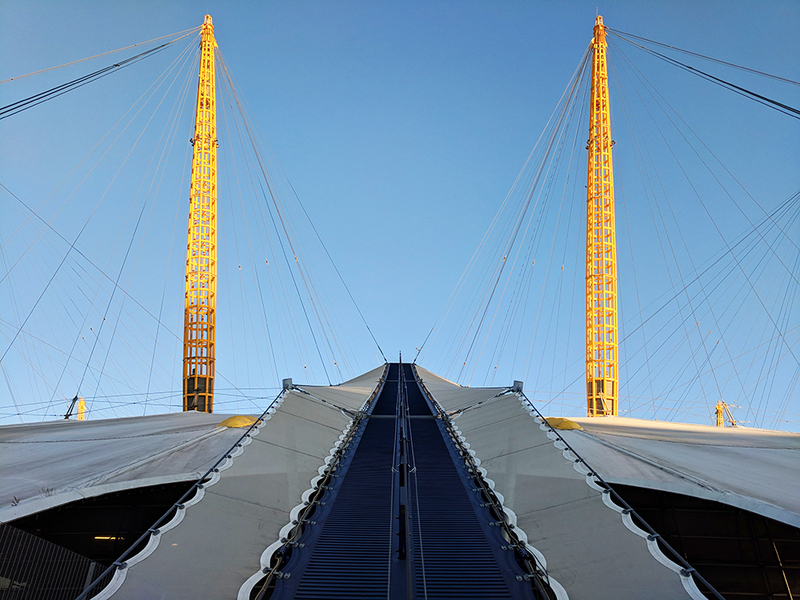 Last week, I climbed over the O2 Arena in North Greenwich for a second time, and it got me thinking: just where else in the world could you harness up and hike over a massive glass fibre fabric dome?! In honour of all the crazy things that London has to offer, here are some of the things you can ONLY do when visiting England’s capital. Last time I went up was in 2012, but the views are arguably some of the best you’ll get over London. The Monument column sits on the supposed starting point of the 1666 Great Fire of London. Rather than just acting as a memorial, however, the Monument can also be scaled – if you’re brave enough to climb up the 311 steps of the narrow staircase! Bonus points are given for being relatively cheap (£4.50 per adult), as well as for its fab views out over the City. The skeleton of Hope the blue whale hangs from the ceiling of the Natural History Museum, allowing tourists to stand in awe from all angles. I personally think the museum is one of the most impressive buildings in all of London, so this really is something I’d always recommend people go and see! 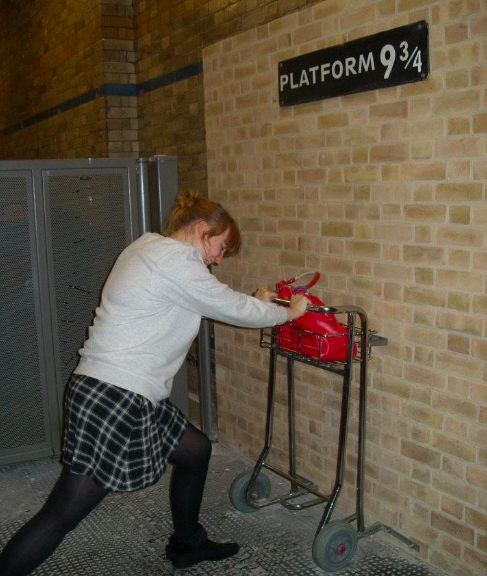 And if you want to go a step further, catch a train from Euston and head to Watford to visit the site where much of Harry Potter was filmed. The Harry Potter Warner Bros Studio Tour is absolutely amazing – I’ve been there twice now, and it just keeps on getting better and better. You can imagine what life as a Hogwarts student would be like while checking out the Great Hall, and you can see various props that were used in the making of the movies. The ArcelorMittal Orbit is the UK’s largest sculpture, built on the site of the Stratford Olympic Park for the 2012 games. You can take the lift up to the top for views out over East London, but if you wanted to go down in an unusual fashion you can either take the twisty slide down…or abseil right down to the bottom. Sophie from Luggage Tags and Ticket Stubs has done both and I’m not even a little bit jealous because, NOPE. But hey, if you want to tick something exciting off your bucket list, here’s the place to do it! Surreee there are many zebra crossings all around the UK, but you need to visit London for the *actual* one. Grab 3 of your closest mates (maybe a 4th cos someone is going to need to take the picture) and head to St. John’s Wood tube station where you’ll find the crossing. The O2 is one of the most iconic structures in East London, housing an arena that hosts all the biggest stars on their world tours. Even if you’re not all that fussed about what’s going on inside, it’s worth making a visit to the giant dome to see London from a whole different perspective. 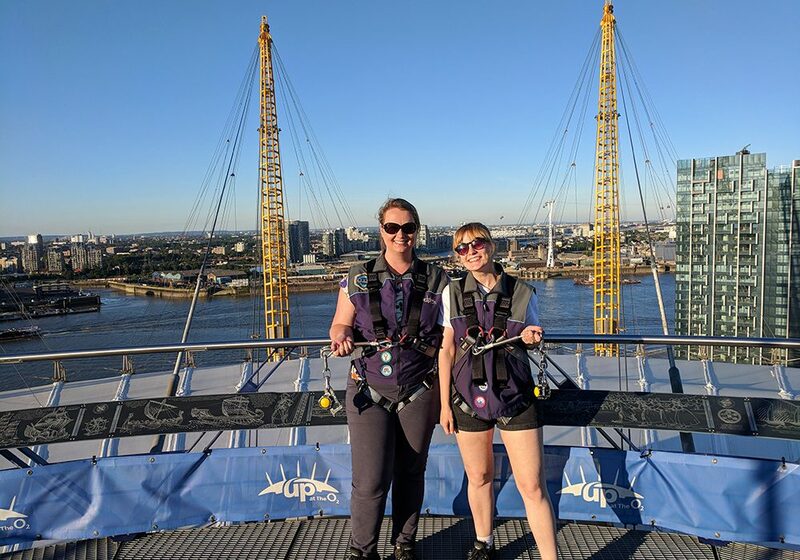 Up at The O2 is a 90-minute climb that takes you, well, right to the top of the O2 via a bouncy 52m-tall walkway. 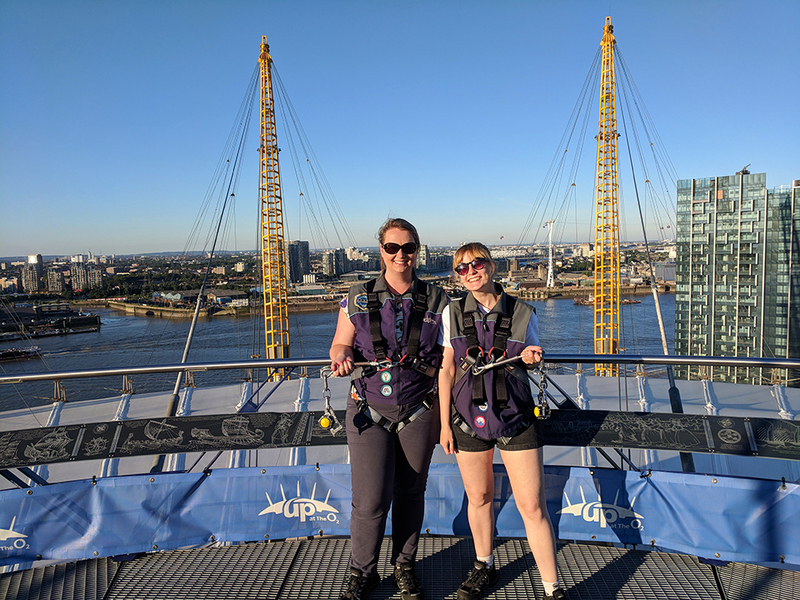 I went with Roma from Roaming Required for the second time last week and it was absolutely epic; after getting harnessed up and shown the (literal) ropes, we were on our way! The first and last sections of the climb are the steepest, but it’s totally worth it for the view once you reach the top. There’s the Old Royal Naval College in Greenwich, Canary Wharf, and even the Olympic Park in the distance if you’re lucky enough to go on a clear day. The Meridian Line is an imaginary line that divides the earth into eastern and western hemispheres. While it passes through many countries (including France, Mali and Antartica), in London you can make a point of showing how you’ve existed in two hemispheres at the same time. Head to Greenwich observatory where you can get a photo of you stepping over the official line! London isn’t original in the sense that it has a thriving Chinatown, but there’s so much more to the city than you could ever expect. Holland Park has a peaceful Kyoto Garden that’s full of dramatic water features; and then there’s Little Venice by Paddington, and the Italian Water Gardens in between Hyde Park and Kensington Gardens! What else do you think that London has to offer that you can’t get anywhere else? 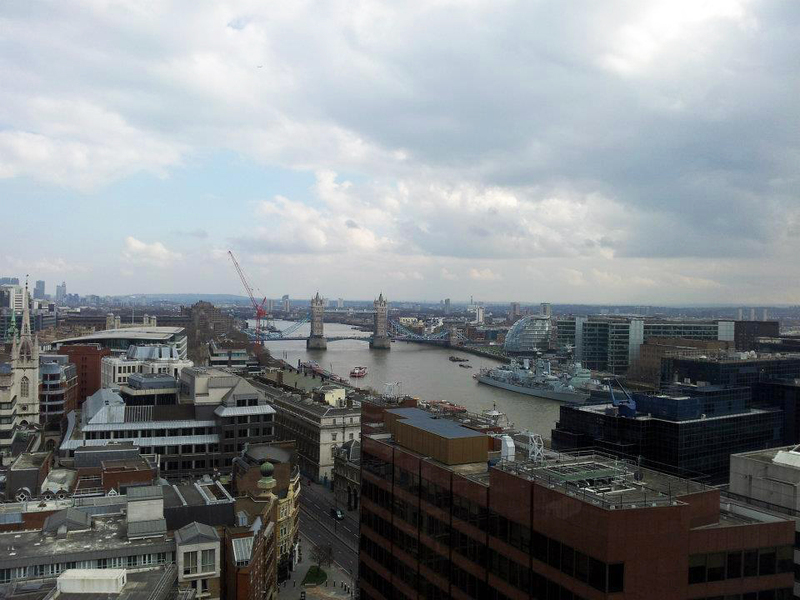 This post is in collaboration with Hotels.com, however all thoughts, opinions and love of London are my own!